This screensaver displays a slowly-moving sky of clouds in perspective. The clouds mostly resemble forms of stratus and cumulostratus because these occur in layers, whereas cumulonimbus clouds are fully three-dimensional and hence much harder for a computer to produce pictures of. Press Q or Escape to quit the program. Copy files into your Windows folder to install. 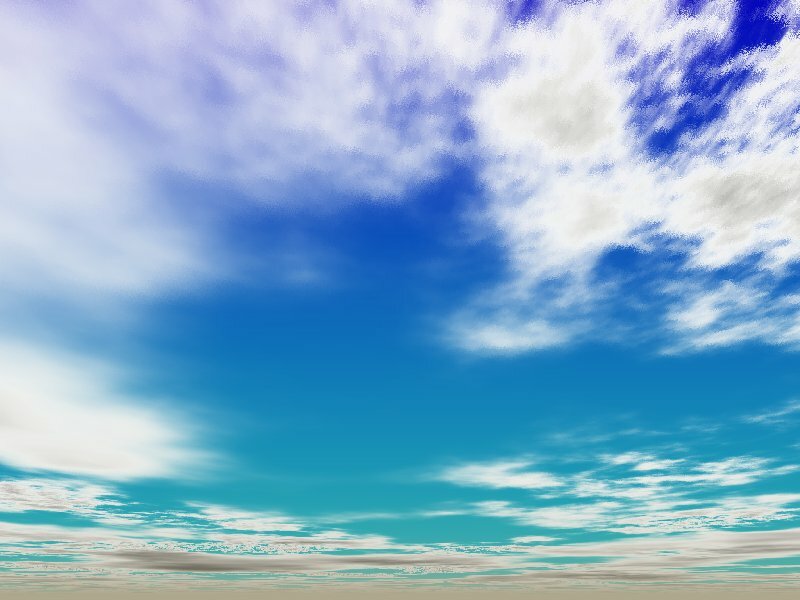 Clouds screensaver (.7z file, 21KB; Zip file, 23KB).